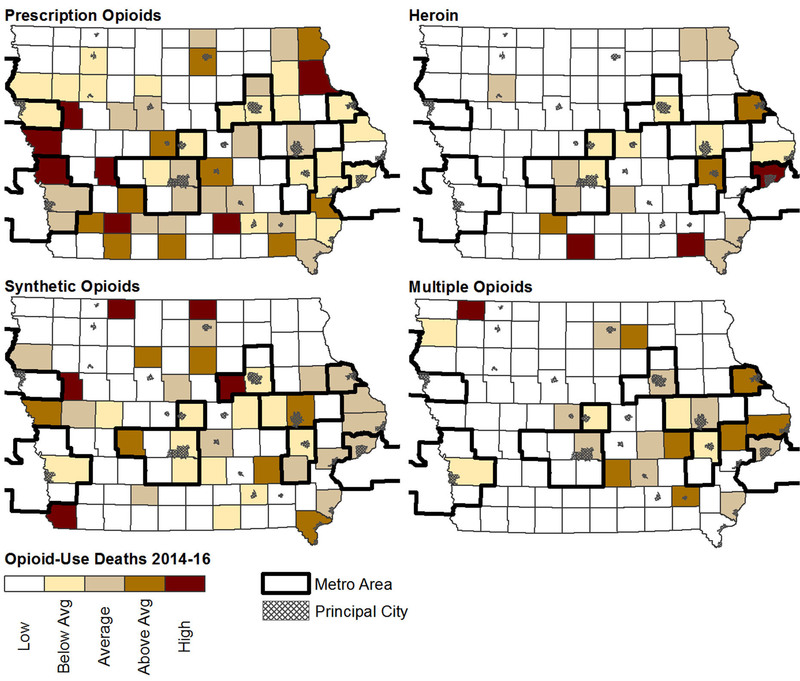 AMES, Iowa – Stronger regulation and efforts to prescribe fewer opioids have helped reduce overdose deaths in Iowa, but an Iowa State University researcher says another crisis is on the horizon. Stronger regulation and efforts to prescribe fewer opioids have helped reduce overdose deaths in Iowa, but an Iowa State University researcher says another crisis is on the horizon. David Peters, associate professor of rural sociology, expects in the next two to three years the state will see an uptick in overdose deaths from heroin and synthetic opioids, such as fentanyl.